We haven’t posted much for the last few months because we’ve been putting our energies into a book that we hope will be helpful to secondary teachers in understanding why many of their students are struggling, and what can be done about it. 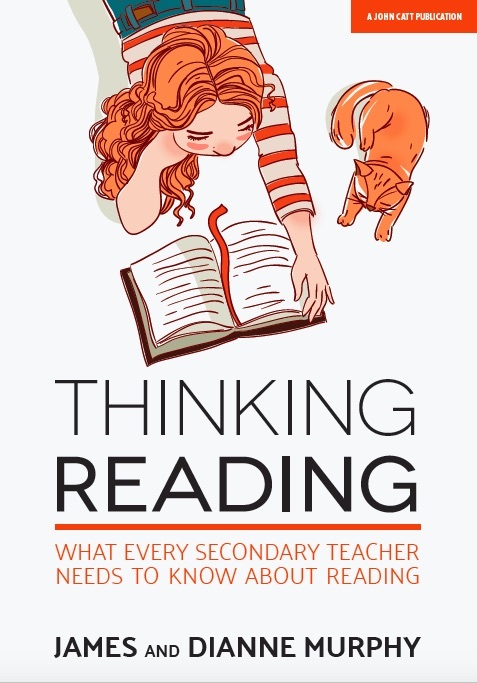 Our book is called Thinking Reading: What Every Secondary Teacher Needs to Know About Reading. The first chapter deals with why secondary teachers need to know about reading. Although it is usually perceived as a ‘niche’ area in schools, reading actually pervades almost every area of academic learning, and indeed of life beyond school. Reading problems have downstream effects on students’ background knowledge, comprehension, vocabulary and writing. Most ‘low ability’ students are not lacking in intelligence, but in reading knowledge. Chapter Two deals with where these problems arise. How is it that so many children can complete eleven years of compulsory education and leave school functionally illiterate? You may well find the statistics in this area surprising, if not shocking. We examine common mistakes and misconceptions, and delve into the educational processes which have resulted in 20% of children leaving primary school without the minimum levels of reading necessary to access the secondary curriculum. The third chapter deals with the decades of research on how we learn to read – a process whose complexity has been frequently underestimated, in part because so many of us acquire reading so easily. Learning to read well requires a strong knowledge of phonics, but many other kinds of knowledge as well, especially at secondary school. This leads on to the fourth chapter, which highlights how subject teachers can apply effective classroom strategies to support students who are struggling with reading. Some of these promote additional reading practice; others provide scaffolding to help students acquire background knowledge that they might otherwise miss out on because of difficulties with accessing texts. 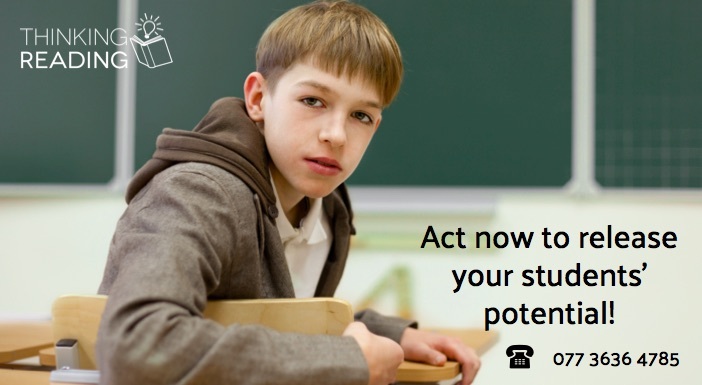 While classroom teachers can support students to access their subjects, Chapter Five reminds school leaders of their challenge: ensuring that reading difficulties are eliminated by the time students leave school. Traditionally, there has been an acceptance that if students aren’t able to read this is because of a disability, and so little if any progress can be expected. Instead we argue that school leaders should put in place thorough screening systems so that the school has a detailed, accurate picture of the types of reading problems students have, and how far behind they may be. Once this information is available, appropriate interventions can be put in place to address the different types of need. We then discuss how school leaders can evaluate the effectiveness of reading interventions, and cut through common but banal explanations for lack of student progress. The last chapter deals with the extensive research on reading interventions: why we have traditionally seen such limited results, and what it takes to create a high-impact programme. It is certainly possible for us to eliminate illiteracy amongst adolescents, but it does take rigorous study, determination, and hard work, along with wisely deployed resources. We hope that this book achieves its primary purpose – to be a bridge between the extensive research on reading, and the way that schools support students. Because this research has shown us what can be done and how to do it, there is no longer any reason for us to tolerate illiteracy. Our message is a hopeful one: every child can learn to read, and enjoy all the benefits that follow. Previous PostA Valentine’s Day Letter – You Have Broken My Heart . . .
Next PostDoes it matter if some can’t read?